Earn up to $10,000! Create a :30 second spot that is stylish, fun and upbeat to showcase Eyeglass World as the premier place to go to get the glasses you need to showcase every side of YOU! Make a video with the potential to go viral. How do you advocate against bullying? Think you are a Power BI Pro? Due 01/15/14 | Trip: Trip to the PASS Business Analytics Conference + more! How will you contribute to the future of movies? Compete for 2013's Hurtwood Prize for Young Filmmakers. What is the craziest thing you would do for a Liquid Ice PlayStation4? Do you have the syrupy voice of the world's greatest newsman? Got some good life advice to share? Create your version of the official Almost Human Promo. 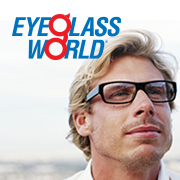 Make a stylish spot for Eyeglass World. Use humor to highlight the superiority of Duracell batteries. Which unusual places do you wear your ProChaps? Create a video about Zenni Optical. Make people change their mind about the female condom. Make a video about conserving water. Multi-platinum producer Drew Lane is looking for the total package. Due 11/20/13 | Prize: Blackmagic Cinema Camera 2.5k + more! Due 11/22/13 | Prize: Round trip tickets on Virgin America + more! Due 11/24/13 | Prize: Fame, glory, bragging rights! Due 11/29/13 | Prize: Alienware 14 notebook + more!